Becomes an egg upon defeat, and is reborn if the egg is not destroyed. Stoic and silent. Legendary master of land and air. Like Nagas, the Phoenix will fly straight towards the opposing Tree over ground Towers. Once they're defeated, they wrap themselves into an egg for a short period. 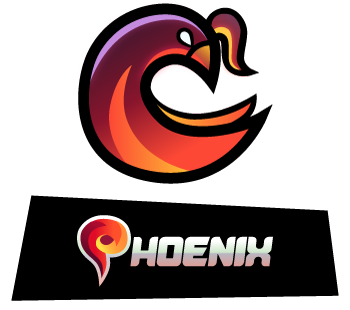 If the egg isn't destroyed in that time, the Phoenix will revive at full HP. The best way to deal with them is to make sure there are ground Towers near air-targeting ones to take care of the eggs that fall. Use them against opponents with very few air Towers to gain the upper hand. They're a bit slower than Nagas, but their special skill and other stats make up for it. A true terror among Creeps. Somewhere in the world, a tree as old as time stands with bright red leaves. Legend has it that near the top, a powerful avian race lives in total seclusion. No one knows what they do or think about, but they only seem to appear whenever natural resources and habitats are in peril. Naturally, these creatures are based on the legendary birds from various mythologies. Normally a phoenix is reborn from its own ashes, but a brightly colored egg shows up better on a monitor. We took some, uh... creative liberties. Thanks for hanging with us throughout these spotlights. Hopefully, they've given you some insight into the world of the Creeps, which will be explored more deeply in the impending Campaign Mode we have in the works. That said, we should be seeing a couple of new faces joining the fray very shortly.